If you watched the Royal wedding in May, you might’ve noticed the variety and the mere gorgeousness of the female guests’ hats. I was looking at them and thinking about hats throughout history. I write fantasy, set vaguely in the imaginary past, and an occasional sci-fi, set in the future, but my characters never wear hats. Maybe they should. Maybe the hats they would wear could tell my readers something about them. 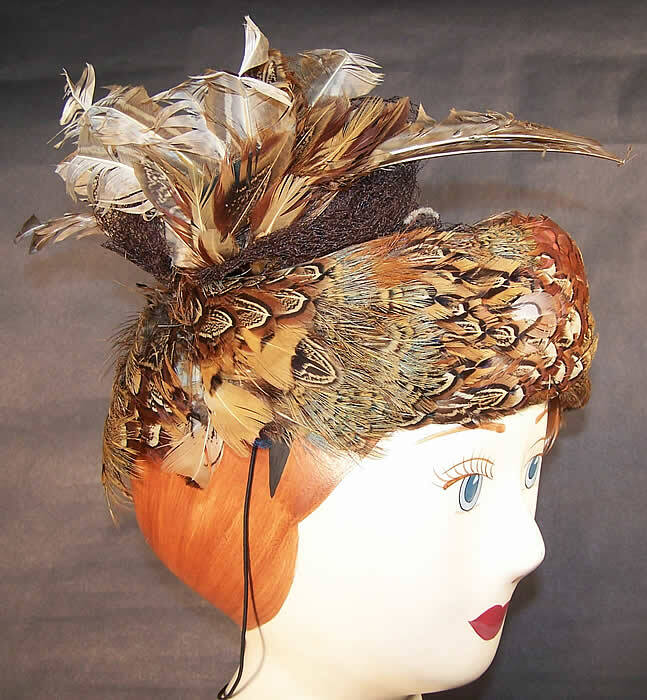 Historically, hats developed as a clothing element designed for protection of the wearer’s head. Protection from cold or from the sun. Protection from fire or weapons or injury. Protection from bees. Later on, in most societies, a head covering became also a statement of social status. Often, a woman’s uncovered head would be equated with loose morals or extreme poverty. That still holds true in some cultures, but fortunately, not in the Western world. For us, besides their simple functionality – like a knit woolen beanie in winter or a panama in summer or a bicycle helmet – hats serve more and more as fashion accessories. Furthermore, a hat might underscore its wearer’s financial situation or a quirk of character, as in the aforementioned Royal wedding. Or it could signify its wearer’s belonging to a specific group, like part of a military uniform. An amusing factoid: in Roget’s Thesaurus, the entry for headgear is the longest of all clothing entries, three times as long as the entries for dress or trousers. Obviously, there are many more types of headgear than there are dresses. 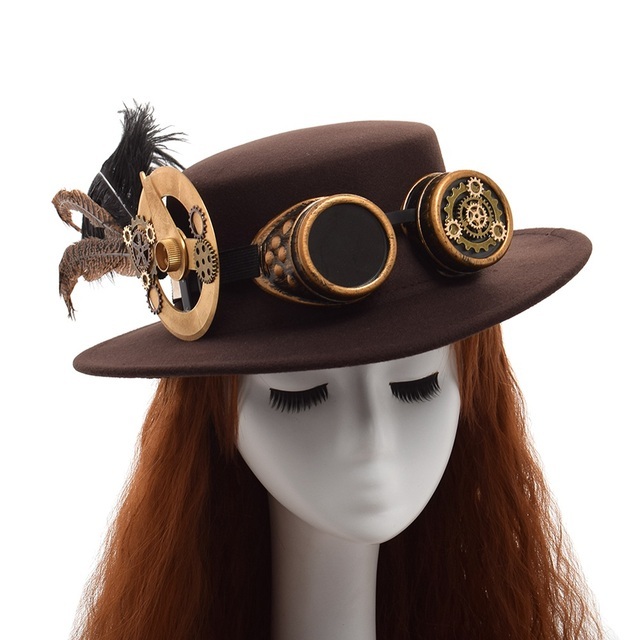 Do hats play any part in your fiction? This entry was posted in Insecure Writer's Support Group, Olga Godim, Writing and tagged hats, Insecure Writer's Support Group, IWSG, Olga Godim. Bookmark the permalink. My characters may wear the occasional crown, but they rarely wear something on their heads. I probably should remedy that some. Heh. What an interesting post. I have not used hats yet but I have ideas involving the use of of hats in characterization. No, my characters don’t wear hats either. Loved learning some of the history about them. Thanks. If you count sporting gear – football helmets and swim caps – I have written about hats. My husband is always having me try on hats and claims there’s not a hat I could wear that wouldn’t look good on me. The funny part is I almost never wear hats! I grew up wearing hats. In our church there were lots of old ladies and they wore the most beautiful hats in the world. Somehow, I miss the fact that women don’t wear hats anymore. It adds a certain flair to a woman. I have one character who wears a hat in a later book, but the rest of my characters typically run headgear free. It’s fun to see that the list is so long! Most of my characters have been in the military, so they’ve worn caps and flight helmets. This is an aspect I admit to neglecting some. I have one or two characters who wear hats, but that’s it. There should probably be more. Oh well! I love giving my Renaissance vampires hats. Hats are fun to describe. No royal hats for me, but I enjoyed looking at them too. And the dresses and suits. All gorgeousness…especially George and Amal Clooney. I haven’t consciously worked hats into my writing, but I do love them. I like the fact that anyone can wear a hat and not worry about what size they are, unlike some fashion trends that only seem to cater to a particular body type. Wow, interesting. I have to admit to virtually never putting my characters in hats. As for the wedding, I found the many hats and fascinators almost hypnotising!